As the last day of festival, the Hanyang University’s festival did not let people down by bringing the day full of entertaining events and activities. Division of international studies students as always brought fun events to the people visiting the Hanyang University by selling small goodies and holding special events. First of all the students of the DIS got together to create a booth right in front of the second exit where there were a lot people. As done previous days before, the booth sold shaved ice with red beans for people tired of the hot weather. Also to bring back old memories, students made Dalgona and sold it to the people. Special singing event went on where if one guesses their singing score correctly, they would receive a special coupon to use for the night business. The special guests were invited to the University to entertain the students. 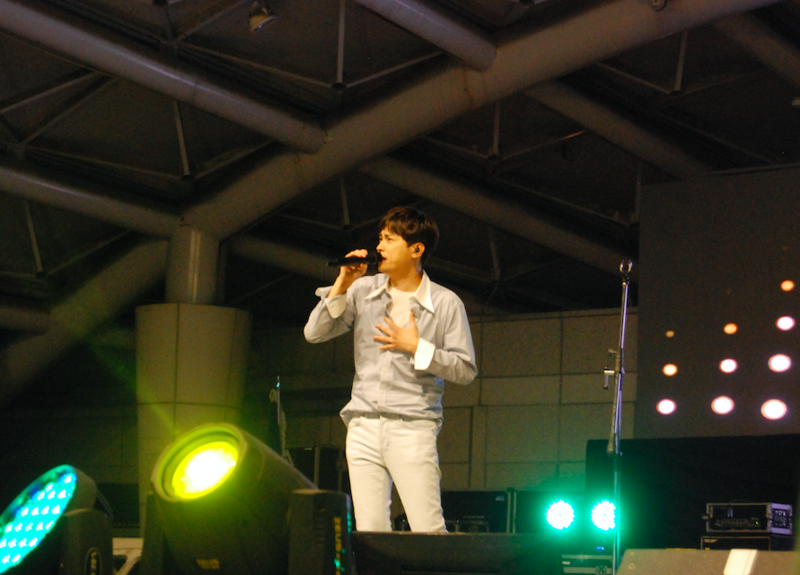 The singers who came to the festival on Friday were Melomance, Min Kyung Hoon, The Cross, and The Ade. Melomance surprised the audience by appearing on the stage wearing the Hanyang University’s jacket. By singing the group’s famous songs from “You” to “Present,” the group made the audience sing their hearts out. With special dancing gestures to ‘singing lessons’, Melomance truly gave the Hanyang university students a real present by the performance.